We have many in stock! This is a Brand New Genuine Konica Minolta CYAN Developing Unit. Part Number: A1DUR74K44 This item fits these models. Konica Minolta bizhub PRESS C6000. Konica Minolta bizhub PRESS C7000. Please send us a message if you have any questions! 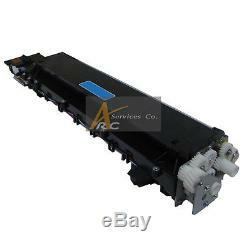 The item "Konica Minolta Cyan Developing Assembly A1DUR74K44 for Bizhub PRESS C6000 C7000" is in sale since Wednesday, June 15, 2016. This item is in the category "Business & Industrial\Office\Office Equipment\Copiers\Parts & Accessories". The seller is "arcservicesco" and is located in Burbank, California.